Limited prep and storage space means mealtime in an RV or any small kitchen can be a little challenging. Here On Nowhere Road, we’re always on the lookout for tools that help us streamline meal prep in limited space and keep the mess to a minimum, especially since once we’re all finished eating one of our delicious gourmet meals (well, basic and nourishing, at least), our only dishwasher is us. 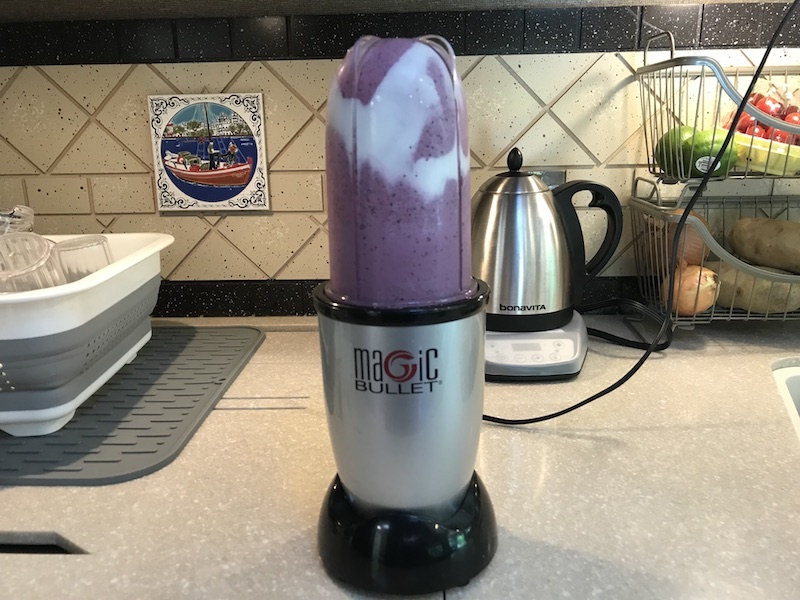 Here’s a rundown of 5 favorite items that we’ve been using over and over and enjoying tasty results without a kitchen mess meltdown. Instant Pot – We have the 3 quart Lux Mini 6 in 1 model. Most people seem to go for a 6 quart model, but the 3 quart fits in our space and is all we need for the two of us. 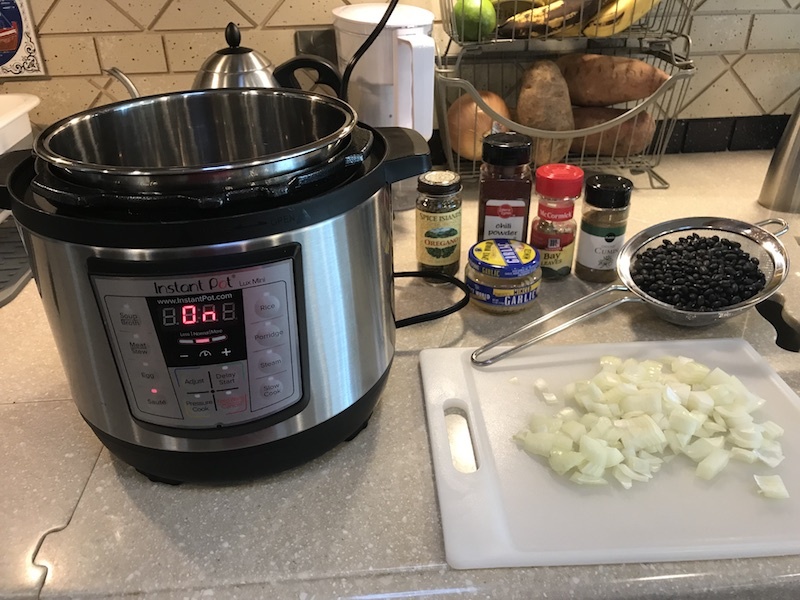 We usually get two meals out of each use of our Instant Pot and cook a lot of bean dishes, soups, stews and easy to peel hard boiled eggs in it. 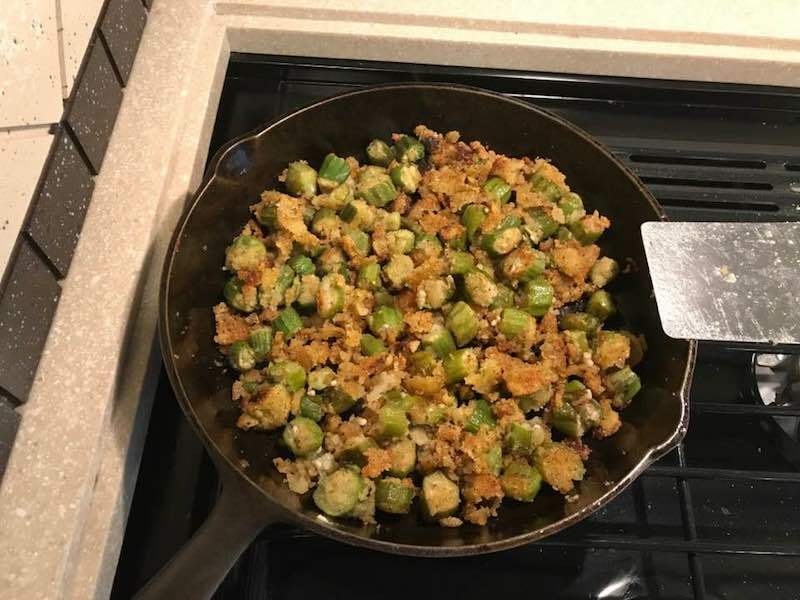 One of our favorite features of the Instant Pot is that we can saute vegetables or sear meat, then throw in the rest of our ingredients and finish cooking in the same pot. 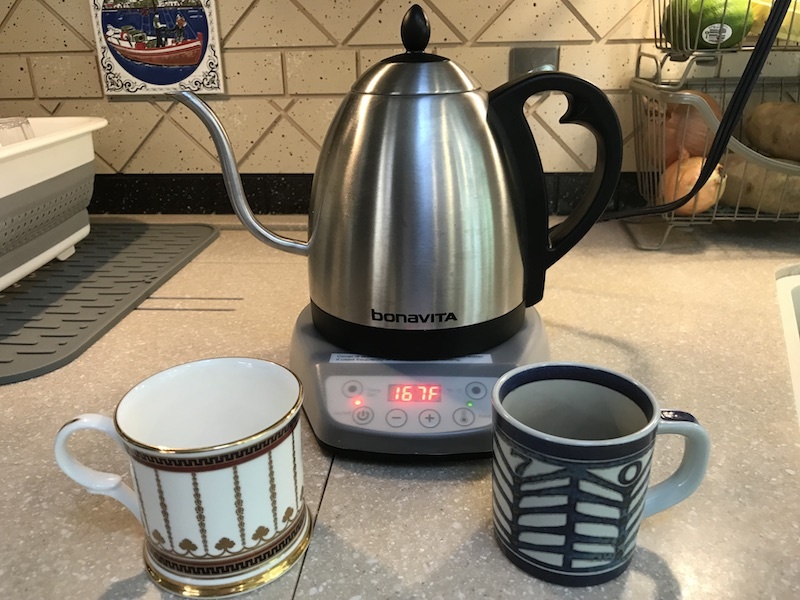 The model we have is available on Amazon here: http://amzn.to/2BpWHfX (affiliate link) (our full review of the Instant Pot 3 quart Lux Mini is here). 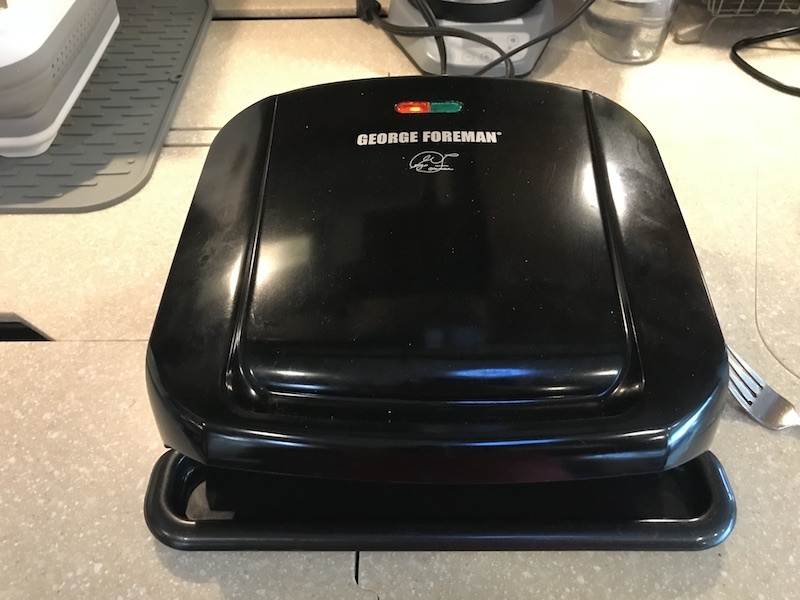 George Forman 4 serving grill and panini press – For many years, we wondered what the appeal was with George Forman grills. It wasn’t until we became full time RVers that we began to see the benefits of having one. Since we have limited storage space and there are only two of us, we opted for the 4 serving grill/panini press. It comes in very handy when we don’t want to fire up the propane stove or use our outdoor grill. Even when grilling chicken breast on the Forman, no additional fat for cooking is necessary. And it’s fast – depending on the size of a chicken breast, we can make a salad or steam some broccoli while the chicken cooks and have a meal ready in 10 minutes or less. When grilling burgers or a steak, the fat drains into an easy to clean drip tray. We love grilled cheese sandwiches from time to time and get great results using it as a panini press. You can check out the George Forman 4 serving grill and panini press on Amazon here: http://amzn.to/2svcZRQ (affiliate link). Cast Iron Skillet – I simply love this pan and would never want to be without it, not only because it’s easy to clean and great for making the best crispy pan fried potatoes and onions or crispy pan fried anything for that matter, but also because it belonged to my Great-Grandmother and I remember watching her use it in her kitchen. My guess is that it’s at least 50 years old. This is the one pan that will always be with me. If you found this helpful and are planning to shop Amazon, please consider using one of our links. If you make a purchase, it won’t cost you anymore, but we’ll earn a small commission from Amazon. Thanks!